Suddenly you hear a screeching of tyres and the harsh sound of metal hitting metal. In the split second before you can brace yourself, you feel your car moving from some unseen force! 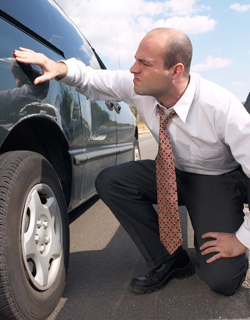 It’s tempting to minimise your own injuries because your car has sustained little or no damage. Research shows that occupants can be injured considerably more than what you’d expect from a dented fender or a broken taillight. If you visit A&E, you may be given a clean bill of health because you don’t have any broken bones. You might get a prescription to reduce the muscle spasms caused by structural changes in your neck or lower back. Whether it was a little incident in the car park, or two cars attempting to occupy the same space in an intersection, you need people who know how to work with lawyers and insurance companies.